With the advent of the new cloud-based operating systems, people rely on the web browsers for most of their work. In the recent years, Google released Chrome OS for the Chrome books which will let you perform most of the task while on the go and you do not have to save any data on your laptop. 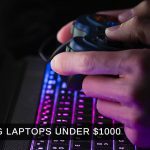 These Chrome books come with the pre-installed Google Chrome, which is much faster and reliable as compared to the other web browsers available for different operating systems. Google Chrome is not mere a browser, the extensions present in the web browser perform most of the tasks for the users. 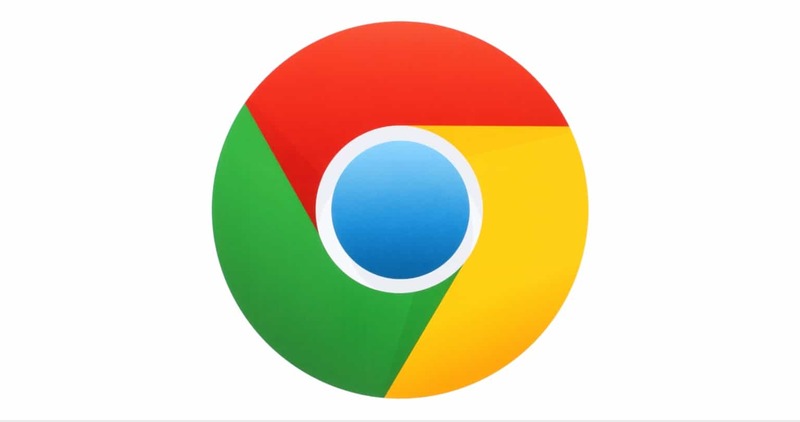 Here’s the list of the best Google Chrome extensions which every Chrome user should install on its Google Chrome. As the name of the extension speaks, Adblock will block all the unnecessary Ads present on the web pages. Most of the web pages are filled with the Ads which will not only make your browsing slow but will also show different Pop-ups on the web pages. Adblock will block all these pop-ups and the Ads on the web pages giving you the better browsing experience and clean interface while navigating through different web pages. Adblock doesn’t require you to sign in or give your personal information. All you have to do is to install the Adblock extension on the Google Chrome, and it will start working after restarting your computer. Moreover, it will also block the video Ads on a YouTube video which will help you save a lot of bandwidth and time. Adblock comes with the free and paid version. The free version works perfectly fine for most of the users. If you like Adblock, we will highly encourage you to go to the developer’s website and donate some money to make this project up. On average, the U.S. worker spends 6.3 hours a day checking their email. This insight is where the idea of Drag came from. Kanban style boards are a proven way of efficiently working; proven in programming but also gaining prominence in sales and marketing, with success stories such as Pipedrive and Trello. 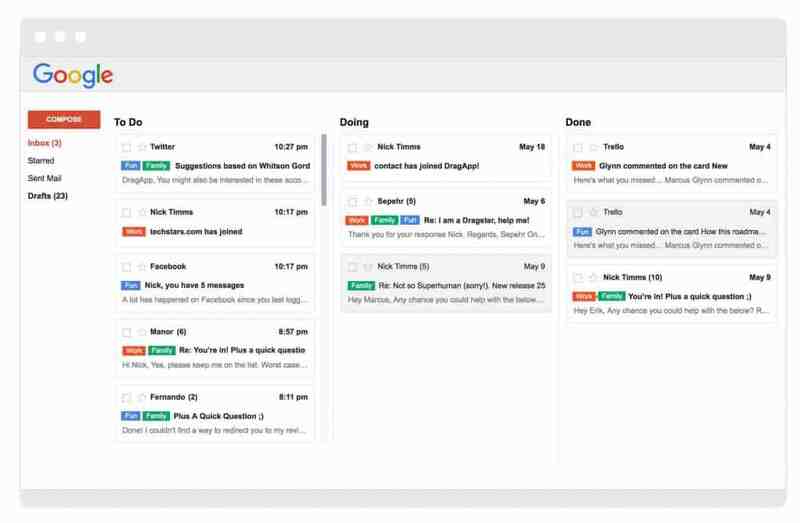 Drag transforms your inbox into organized lists (like Trello, for Gmail). You can sort your emails into customized lists add notes & tasks to emails with simple drag and drop functionality. Drag is changing the way you manage your emails, right inside your Gmail inbox. Drag’s a completely different way to manage your inbox. Generally, people organize tasks in fragmented ways. Despite best practices to have a single solution (Trello, Todoist, Asana, etc) users still have a mix of manual and structured tools to manage their Tasks. Drag complements these tools. It applies the same successful principles of Kanban boards in a simple way, inside your inbox. So you can use big tools for big tasks and Drag when you simply need to organize your inbox. So far, we’ve been featured on Chrome Store (reaching 1.9 million page views per day on our extension), reached Top on Product Hunt, Page 1 on Hacker News and been listed in some Go To tech. publications such as Life Hacker and The American Genius. 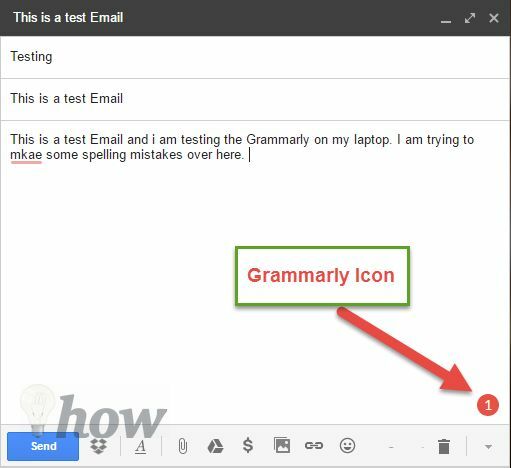 When you write an important Email in Google Chrome browser or work on a document (Docs, Office Online), spellings are one of the common mistakes that one can make. Apart from that, you may make some grammar, punctuation, and capitalization mistakes without knowing. Although Google offers a spelling checker which will automatically place a red line under any misspelled word, however, it is not enough to point out the grammatical errors, punctuation, and sentence structure. Grammarly is your all in one virtual assistant to check the grammar for you. This extension is offered in the form of a service, a free version will point out the spellings mistakes and punctuation errors, however, if you want to correct the long sentences or correct advance mistakes in your writing, you will have to get the full version of the Grammarly. This amazing extension is also available in the form of a standalone program for Windows and Mac and an Add-on for the Microsoft Word. Once you have completed the writing, you will see a small Grammarly icon at the right side of the screen which will tell you about all the mistakes in your writing and how you can correct them. All in All, this is a must have extensions for all those users who write many Emails, articles or thesis. We receive tens or hundreds of Emails on the everyday basis, some of them are important messages from a co-worker while others are just a reminder to follow up an event. Recently, Google introduced the tab system which automatically organize the Emails. Although this new tab system provides an excellent way of organizing the Emails, however, it still lacks some important features. Gmail will organize your Emails in the Primary, Social, Updates and Forums tab but it doesn’t let you organize your emails to make a to-do list or follow up important Emails. That’s where Sortd hops in. This great extension will let you organize the Emails in a professional way where you can make lists for the important Emails. The best part about using this Email is that it will work independently of the Gmail without interfering your current settings of the Gmail. So, you can just enable or disable the Sortd with one simple click. Are you tired of wasting too much time on the internet? It happens with the most of the people, you start with the Facebook and think that you will close it after 10 minutes. However, 10 hours have been passed, and you are still looking at a cute cat dancing on the Hotline bling. If you have such problem, you surely need someone to remind about the pending work that you have. Stay focused is one of the best extensions for the Google Chrome with a sole purpose of increasing your productivity. From the settings of this extension, you can set a timer for the certain website. Once the time has passed, all those websites will be blocked. The best thing about this extension is that it will provide you with a list of website that you can block from the Google Chrome such as Facebook, YouTube, Twitter, Wikipedia or Reddit. Moreover, if you are working on Facebook or any such websites, you can always put these sites in the “Allowed Sites” tab in the Settings of Stay focused. This extension also provides many great challenges to improve your productivity and the best part is that if the set time is passed, you cannot remove the particular website from the list of Blocked websites. 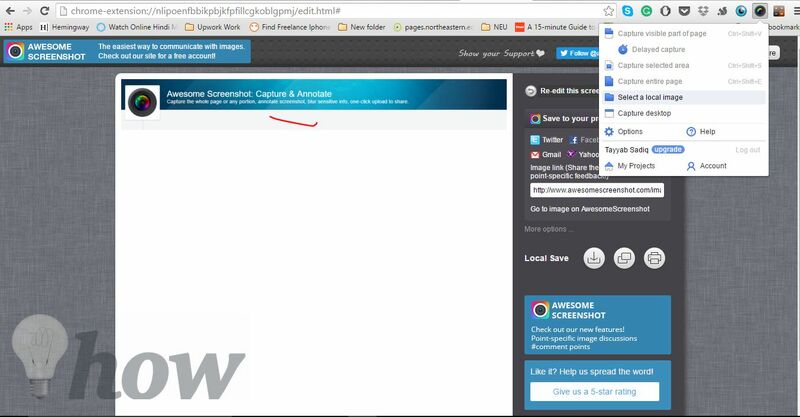 With over 2 million users, the Awesome Screenshot is the perfect extension that every Google Chrome user must have. It is not only a simple screenshot capturing tool, but it will also let you annotate the images in the easiest way. You can blur an area on the image, add text to your image, draw different shapes such as square, circle or triangle on your image or can highlight the area using a single pointer for your image. The best part about using this tool is that you can either capture the whole webpage or can select a particular area and work on that. Once the image is captured and annotated, you can share it on different platforms such as Facebook, Twitter, Gmail or Yahoo mail. Captured images can also be downloaded on your computer or can be printed directly from the application. Working on a project or a thesis and want to quickly calculate something? The Calculator is the extension that you will need to install on Google Chrome. This amazing yet simple extension is inspired by the Calculator for iPhone and has one of the simplest interfaces that you will see for any Google Chrome extension. All you have to do is just click on the extension in the top right side of the Google Chrome, and it will show the calculator. You can perform the simplest to scientific calculations using the same calculator. 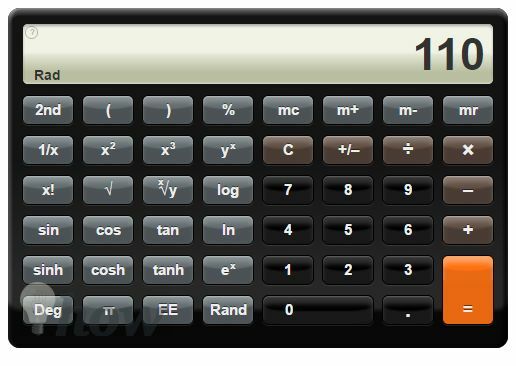 However, there is one flaw in this extension; it does not work with the Num pad of your Keyboard, and you will have to use the mouse to do the calculations. 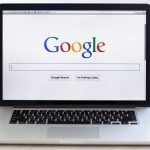 The giant search engine, Google needs no introduction, and one of the main reasons behind the success of the Google is the perfect search for something that a person is looking for. However, with this extension, Better Search, you can save what you have searched for. You can either bookmark your search or can directly look on different websites without opening them in the new tab. It will also show you the website icons directly in the search engine, and you can save some notes for your saved search. Moreover, the Better Search will also let you block the sites from showing in the search results. All in all, it will change the overall look of the webpage and will let you identify every little item in the easiest possible way. The better search will also remember what you have searched in the past to give you better suggestions about the future search result. This is a must have an extension for all the Dropbox users which will add a little icon at the bottom of the Compose email page in the Gmail. By Clicking on this icon, it will show a new box with all of your files in the Dropbox. So, you can quickly search for the required files and can instantly share them while composing the email from Gmail. The whole purpose of making this extension is to save time for Dropbox users, so, they can instantly share the files without navigating to any other program or tab. As the name of this extension indicates, this amazing extension by the Google will let you search directly from the image. 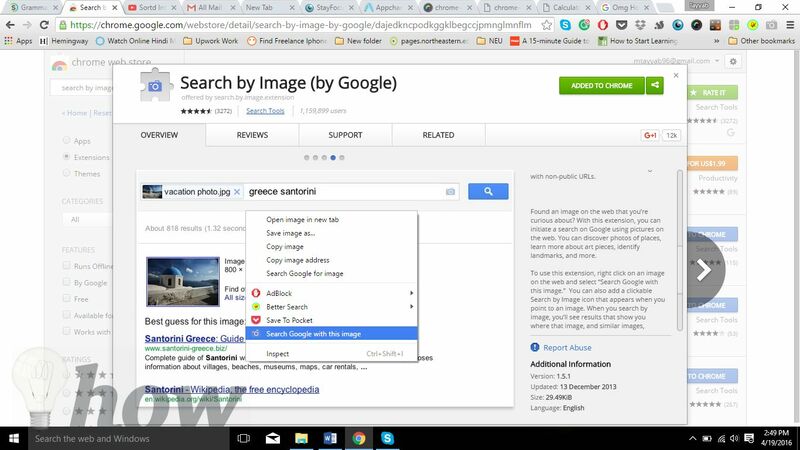 After installing the extension from the Google Chrome, you can right-click on the image, and you will see an option “Search by Image”. Click on this option and you will be redirected to the Google search page where you will see related images in the Google. You can also search for the related webpages using the same Image again and again. Last in our list is not a productive application, yet it is just an extension to change the overall look of your Google Chrome. Momentum is the new homepage for your Google Chrome. The Wallpaper of the Google Chrome is the beautiful scenery depending upon your current location. Moreover, Momentum will also show the to-do list on the main screen. The aesthetic look of this extension will change the overall look of the Google Chrome. Do you have something to add to this Story? Please let us know about your favorite Chrome extensions in the comments below.